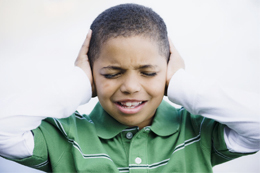 How do you teach your kids to not listen? You reinforce not listening whenever you ask your child to do something but then don’t immediately follow through when your child ignores the request. This girl typically waits until her parents are angry before she pays attention to their requests. This not listening behavior gets her lots of her parents’ attention! If you make a request and your child ignores it, you need to take action. In this example, the mother could have walked up the hill, taken her daughter’s hand and led her back to the sidewalk. Sibling rivalry is another common complaint. How do you react when your children are fighting? When kids can get you involved in their fights, they feel a sense of connection to you and also feel significant – fulfilling Adler’s two basic purposes of behavior! If you’re not afraid of your children really hurting each other, then the best approach is to let them work it out on their own. The less attention you give their fighting, the sooner it will end. If their fighting is bothering you, you can ask them to take it outside or to the garage – an uncomfortable location will shorten the fight! No parent wants to deal with tantrums and meltdowns – and yet all children will exhibit this behavior at some point. Tantrums are a dramatic way of getting your attention. When your child is having a meltdown, he is flooded with emotion and his rational thinking is not engaged. If you react to a meltdown by giving in or providing a lot of attention, you will reinforce the behavior. If instead you stay calm and allow your child time and space to calm down, your child will be learning how to soothe himself and gain emotional control. What’s your reaction when your child does something like rolls her eyes at you? Do you respond with a command like “Don’t you roll your eyes at me!” If so, she’s getting some attention from you and knows how to get more attention whenever she wants it. What could you do instead so that you don’t fuel this behavior? You could calmly say “I’ll be happy to talk to you when you are being respectful” and walk away. By telling her what you are going to do instead of what she has to do, you can make it happen. You can only change your own behavior. However, when you change your behavior, the behavior of your children will also change. In fact, if your child is typically successful with a behavior like nagging, her nagging may initially increase when you stop responding to it. Children will try hard to provoke the old response from you. But if you stick with your new response, they will learn that nagging no longer works with you. Take a step back and consider how your reaction may be accidentally encouraging the very behavior you do not want to see in your children. Try changing your behavior so that your kids experience plenty of connection with you and significance without resorting to misbehaving.